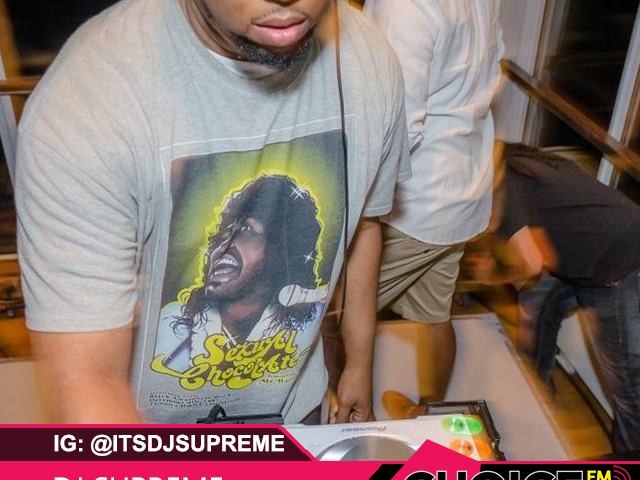 Know throughout the music industry, club community, radio community, mixtapes and the Caribbean carnival circuit, the veteran DJ Supreme is making noise and setting trends across the globe with his mixes, vibes and personality. Supreme emerged onto the scene at the young age of 17 blazing the airwaves in his home town of Poughkeepsie, New York guest DJ’ing then later on becoming a resident DJ on a popular reggae show on 91.3 FM WVKR. For over a decade Supreme has been a heavy presence and influence to the international Caribbean Carnival Circuit and radio network via internet, DAB, terrestrial and FM stations globally. He has been blessed with the talent of music and the voice to control and rock any crowd he has been put in front of. From carnivals, festivals, clubs and radio stations in the United States, the Caribbean and Europe. Supreme’s passion has been to share his passion, knowledge and love for music to the masses. Supreme evokes and creates memories through music. As a DJ and On-Air Personality, Supreme’s genre specialties are within hip-hop, dancehall, reggae, soca, afrobeats, old school and UK garage. He is known for his smooth mixes, blends and precise scratching techniques that helps showcase versatile and energetic style. This is what makes him such a great talent, his ability to mix almost anything! His mixtapes has gained global accolades, as well as his radio show gaining a cult following across the globe. His love for music started with his father who was a DJ as well as his older cousins who were also DJs. Through his early years as a DJ, Supreme gained tutelage from Bobby Konders, Boxx & Rupie T, 3 DJs he regarded as his mentors during his early years. Currently Supreme is focused on building the listener-ship for SPiNZ FM as well as expanding into new markets for his radio show The Juice Boxx. He is also working hard to expand on his marketing/concierge service (CarnivalCrashers.net) into bigger and greater horizons sharing the West Indian culture to the masses. You can listen to Supreme’s previous shows and select mixes on Mixcloud.